2/12 -- Katy Perry and her brand management group, Global Brands Group, have responded to the backlash, stating that the shoe collection was released in 9 different colors and "envisioned as a nod to modern art and surrealism." They continue, "I was saddened when it was brought to my attention that it was being compared to painful images reminiscent of blackface. Our intention was never to inflict any pain. We have immediately removed them." 12:53 PM PT -- The shoes have officially been scrubbed from both Walmart's and Dillards' websites. Katy Perry's shoe that is under scrutiny for resembling blackface is about to be yanked ... TMZ has learned. 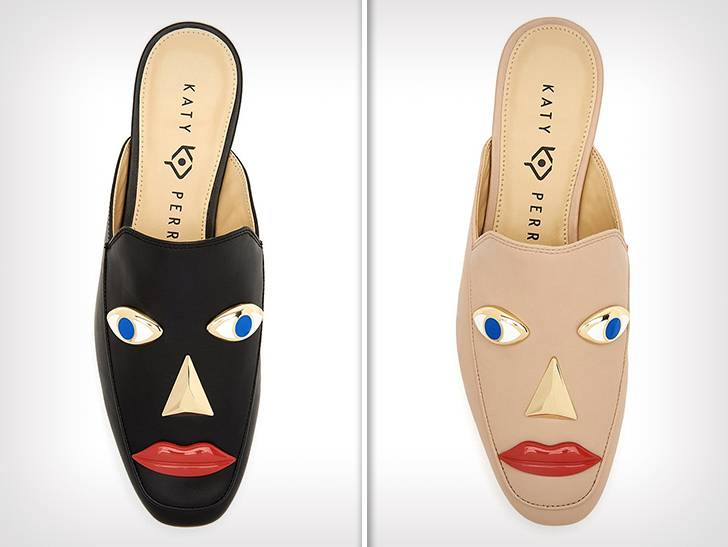 Katy's got a whole shoe line for sale at retailers like Dillard's and Walmart -- and a couple of her designs feature what looks similar to blackface ... the "Rue Face Slip On Loafers" and its high-heeled counterpart, "Ora Face Block Heel Sandal." The "face" shoes have two eyes, a nose and red lips on them, and they come in two different colors ... black and beige. The black one is problematic, because it looks a lot like classic blackface makeup, which the fashion world does not seem to recognize time and again. 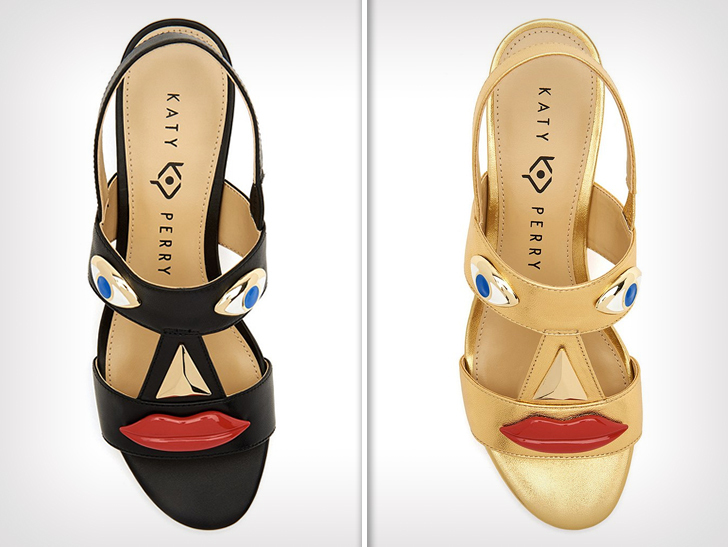 The "face" heeled sandals are also problematic ... and Katy's catching major heat for having the shoes on store shelves. Even singer Masika Kalysha is calling for Katy to answer for this, saying on social media ... "So we just gonna let Katy Perry slide?" Sources connected to Katy tell us these specific shoes are just part of an entire line of shoes she's designed and released ... and they were never intended to be offensive. However, we're told, "In order to be respectful and sensitive the team is in the process of pulling the shoes."